Although Poland is considered to be an attractive country for photovoltaic investments and a growth potential area, the renewable energy legislation has a slow progress. 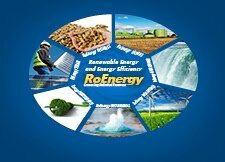 A new regulation for subsidies for renewable energy in Poland which was waited to take effect beginning with 1st of January 2013 was postponed and new discussions are taking place regarding the reorganization of subsidies. If for the conditions for small systems of photovoltaic technology, with less than 100 MWh of output, it seems that an attractive framework conditions has been already prepared, most of the discussions still in progress regards the certificate system for larger installations.